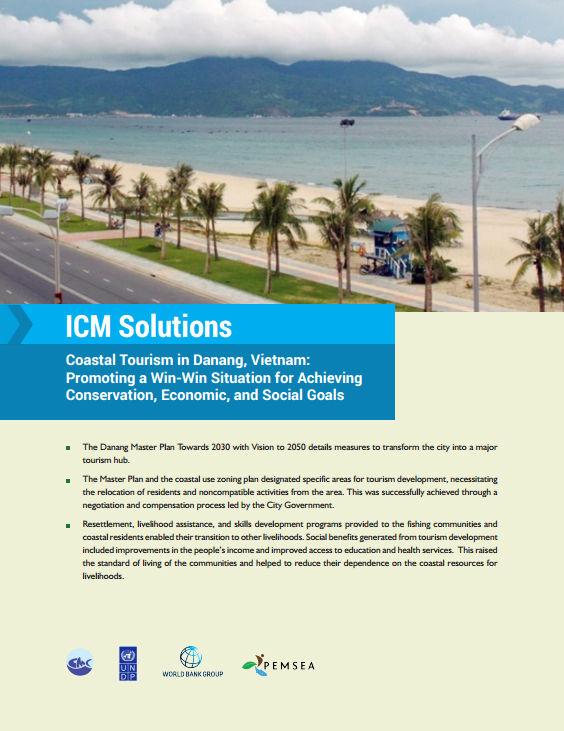 The districts of Ngu Hanh Son and Son Tra in Danang, Vietnam, are endowed with rich coastal and marine resources that offer huge tourism potential. The rapid growth of coastal tourism along the coasts of these districts resulted in increased solid waste generation, sewage discharges and beach erosion. Public security at swimming beaches and seafood safety were also issues of high concern.